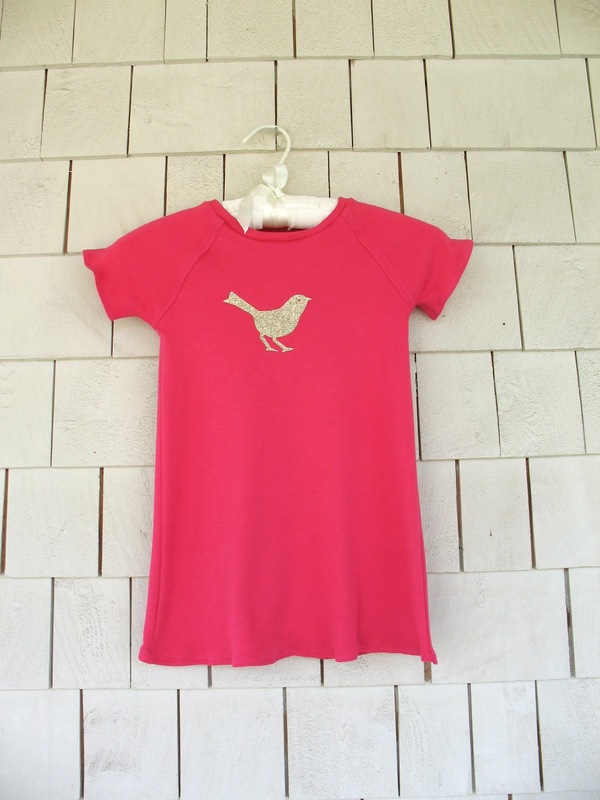 I was so excited when I saw that the Titchy Threads Safari Raglan Tee and Dress pattern had been released. I've really been excited by the idea of t-shirt dresses for Ladybug and I love raglan sleeves. I wanted to do some kind of embellishment on the front of the dress so I chose to make it from a solid interlock from my stash. Somehow without a visible right and wrong side I managed to get my pieces mixed up and embellished the back rather than the front. I should remember to always always always label my pieces when I am sewing with solids. There is a bird adorning the front and back of the dress now. I guess that's just extra interesting. This looks great, I love the bird! 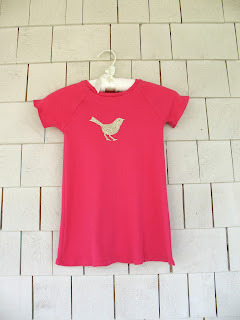 I also love raglan sleeves and have made quite a few raglan tees for my son using See Kate Sew's Recess Raglan pattern. I'm quite tempted to get a similar pattern for myself!